Basset hounds are some of the most adorable dogs around, with their big, floppy ears, big wet eyes, and those stubby little legs that make just watching them trot toward you the most adorable thing in the world. If you want your Basset Hound to live a long, happy life, you have to make sure you get them the best dog food available (in addition to all that important stuff about exercise, rest, and plenty of trips to the vet). Here’s our take on what you might need to know! how many calories does a basset hound need? Basset Hounds tend to be anywhere from 51-64 pounds for males, and 44-60 pounds if they’re female. To that end, an average 55 pound Basset Hound who is less active will need about 1006 kcal/day to be healthy. With typical or moderately active Basset Hounds, you’ll need to give them about 1230 kcal/day, and an extremely active Basset Hound of that size will need approximately 1957 kcal/day. Keep these rates in mind when feeding your dog, to make sure they are getting the right levels of nutrition! This video is a great little primer on the Basset Hound breed, their legacy as a descendant of the bloodhound, and more. You get to learn a lot about their stellar noses, their long ears, and the best ways to groom and feed your Basset Hound! In terms of what Basset Hounds actually need, they need a strong mixture of proteins, fats and carbs specially formulated for their small but dense bodies. Basset Hounds need a lot of muscle, and so you’ll want to have quite a bit of protein for them. Animal proteins are the best bet for Bassets, including eggs, meat and dairy, as it is higher quality protein than plant proteins. To that end, be sure to get your Basset plenty of animal protein, preferably in the form of meat. Fat is also important in a Basset’s diet, as they supply energy and essential fatty acids such as omega-3s and omega-6s. Vitamins A, D, E, and K are valuable fat-soluble vitamins that Bassets can always use, as they help to bolster cell membranes. Fats also provide a valuable conduit for calcium to get into your dog’s system; your Basset Hound should absolutely make sure to get that for themselves. However, fat levels should be measured in a Basset Hound; they’re not about to run any endurance races, and while they’re high activity they don’t need the kind of endurance-friendly fat storage you’d find in a Siberian Husky, for instance. Bassets are, and should stay, lean. Carbohydrates, while being important in terms of energy and metabolism regulation, are something you want to control in a Basset Hound along with fat. Carbs are always welcome, but they must be the good kind of carbs that provide needed energy and vitamins, and it’s important to not overfeed young dogs, especially carb-rich diets. Since Bassets are prone to obesity, you might want to limit their exposure to simple carbohydrates in their diet. The most important thing about your dog’s nutrition is that you have to cater it to the specific age of your dog – younger dogs, no matter the breed, will need a different formulation than adult or senior dogs. Small-breed diets will often offer high levels of calcium; however, you shouldn’t feed that to your younger Basset, as that could lead to an overgrowth of bone or cartilage known as ostochondritis. For that reason, it’s doubly crucial to make sure you get a small-breed commercial product that is specially created for the age of your Basset. Ears. Their long ears have difficulty circulating air inside them, leading to infections and ear mites. Be sure to keep them out of the way when they are feeding to avoid biting their own ears. Short Stature. This is due to osteochondrodysplasia and achondroplasia (dwarfism) in dogs. Keep careful look at their calcium intake. Eye Issues. Droopy eyes can build up mucus. This can be aided with more vitamins like beta kerotine. Yeast Infections. Can happen around mouth folds. 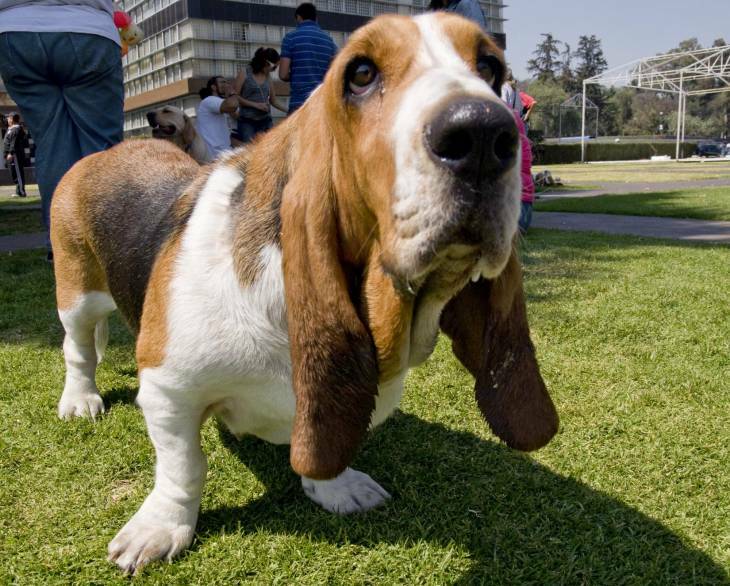 Make sure your dog’s food has plenty of probiotics if this happens to your Basset. Dermatitis. Dermatologic issues can be common in Bassets. Get more fats in for healthier skin. Arthritis. Musculoskeletal conditions like that require more calcium and protein. Colitis. This kind of gastrointestinal issue can be addressed with more natural fiber in your dog’s food. One of the things that you might need to know about Basset Hounds is that they like to eat. I mean, they like to eat. To that end, a lot of Bassets are prone to obesity, and will eat everything it can get between its teeth if you’re not careful. To that end, calorie restriction is key, and make sure to keep your food secure. Be sure to measure the food, and only feed your Basset Hound twice a day instead of just leaving food out for them. Like with most dog breeds, Basset Hounds have different feeding requirements depending on if they’re just a puppy or if they’re an older dog. 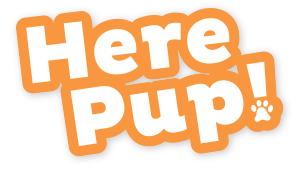 If your puppy is about half the size he will likely get to as an adult, they’ll need about 1381 kcal/day, especially before they’re fully weaned (which should happen about 3 weeks into their lives). If your Basset is a bit older, however, and is living a sedentary lifestyle as a neutered dog, they’ll likely only need about 992 kcal/day worth of energy to sustain themselves. It’s important to not overfeed older Bassets, as that can contribute further to their already higher chances of obesity, combined with their lack of activity. . If you’re looking for a great dog food for Basset Hounds, there are a few great picks, as we outlined earlier. 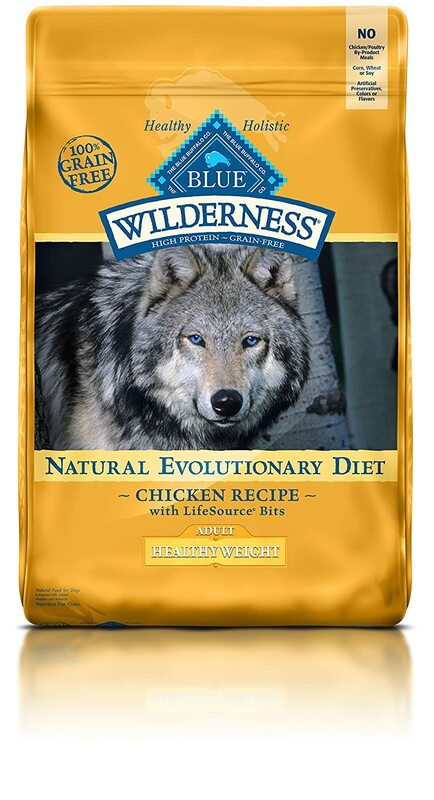 However, one of the more solid selections we’ve come across is Blue Buffalo Wilderness, which comes in quite a few varieties that are perfect for a wide variety of dogs, particularly Basset Hounds. Blue Wilderness Chicken Small Breed Adult, especially, might be the best bet for your Basset. It’s a great, general-purpose dog food specific to small breeds like the Basset Hound, specially formulated to provide the right amount of nutrition necessary for those smaller dogs. First of all, the high protein content is perfect, with most of the major ingredients being chicken, chicken meal and turkey meal. The high presence of these proteins means that your Basset is getting the kind of nutrition it needs to maintain lean muscle, which is perfect for such a small breed. Carbohydrate content comes in the form of peas, mostly, which gives your Basset a great amount of natural fiber, and even some plant protein to enrich the protein content of the product even further. While there are quite a few fantastic dog foods out there, this specific food is great for Basset Hounds for the reasons we outlined above. It’s a stellar combination of protein, fat and carbs that allows for small breeds to get the nutrition they need. So next time you plan on switching your Basset’s nutrition and diet regimen, be sure to check out these and other dog food formulations like them! 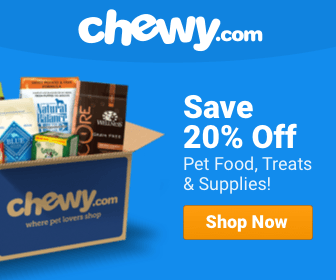 What is the Best Dog Food For Wheaten Terriers? What is the Best Dog Food For English Springer Spaniels? What is the Best Dog Food For French Mastiffs?